What can I do to be completely healed? I want to be completely healed fully in the name Jesus. What do I do to be healed? And Where can I go to be healed? My dear Sister in Christ, I know you heard it said that only thru Jesus Christ you can be healed. This is the truth! I hear a deeper cry in your question. Almost, I would like someone to heal me wrap my arms around the "how?" Remember God stepped out of eternity and came down to earth so that we can identify with Him. The bible said that no hurt and pain we can experience that He has not experienced as He walked this earth. He said in John 16:33 "...in this world you will have trouble, but take heart! I have overcome the world". Most of us need a safe, trusted and well grounded person in the Word to help us navigate the conflicts, or troubles of this world. This may be a mature christian that has learn to overcome struggles in their lives thru God's Word, a pastor or a Biblical Counselor. I am not sure what areas of struggles you need healing, so I'll be cautious to say much more. However, like Solomon in the bible, God has given many chosen people the gift of compassion and discernment to use His Word to facilitate the complete healing process. 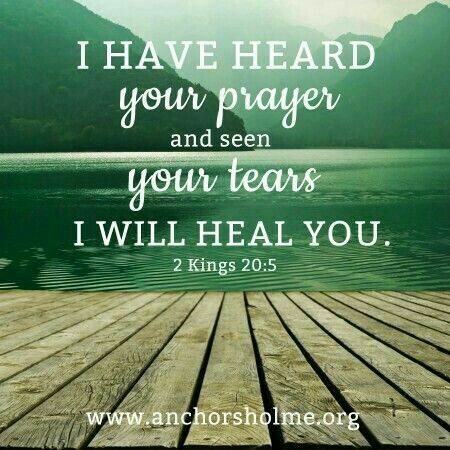 Pray asking God to put one of those persons in your path, or someone who knows such a person, and wholeheartedly seek your healing as your purpose is to whole and healthy so you can be used by God to bring Him glory. Usually our areas of pain, hurt and growth is where He equip us to help others. 2 Corinthians 1:4 beautifully explains why. - He comforts us in all our troubles so that we can comfort others. When they are troubled, we will be able to give them the same comfort God has given us.